Check in: 4 p.m. 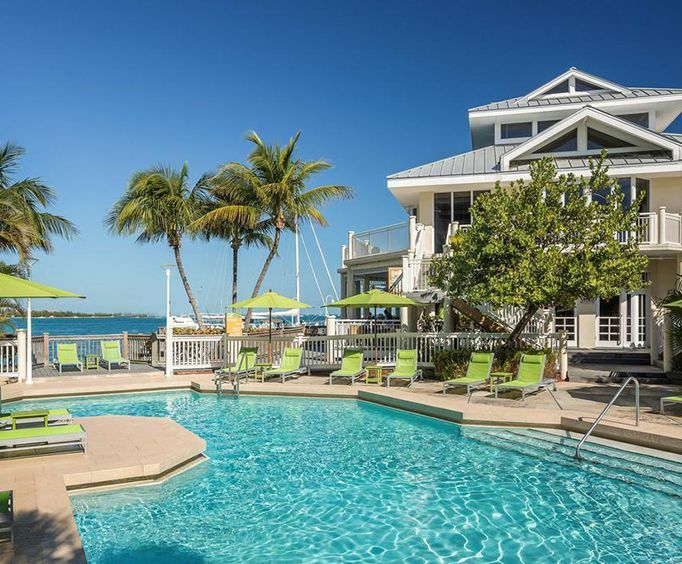 Check out: 12 p.m.
Hyatt Key West Resort and Spa is a high-end hotel with spa located, right along the Gulf of Mexico and less than a mile from the many shops and sites of Key West. The hotel has much to offer guests like luxury rooms with the option of hypoallergenic rooms and a concierge, among other amenities. 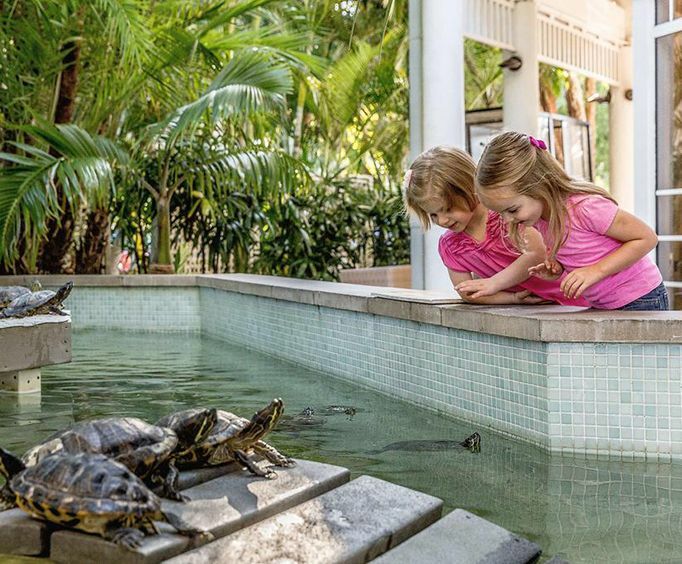 Outside the hotel there is much to enjoy as well, including eco-tours, visits to historic homes like Hemingway House and art galleries like the Alan S. Maltz gallery. 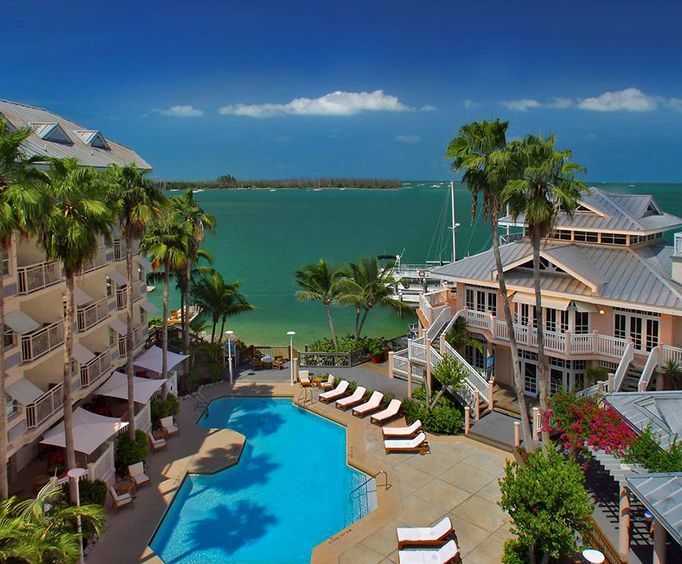 The renovated Hyatt Key West hotel offers much to its guests. Besides the above-mentioned amenities, the hotel also has modern, stylish, rooms in various styles. They range from the accessible rooms, made with those with disabilities in mind, to the deluxe rooms. The accessible rooms boasts a king-size bed, handicap accessible shower, strobe-light smoke alarm, closed captioned TV, lowered closet shelves, thermostat and light switches, among other things to make the stay of guests with disabilities more comfortable. The deluxe room contains a flat screen TV, an iHome stereo with an iPod docking station, a small cooler for food and drinks, bathrooms with bathrobes included, a data port, and more. For those not staying at the hotel, the Hyatt Key West's scenic location, meeting rooms and on-site catering make it great for weddings, business meetings and other important events. Various activities like water skiing, spa treatments and fitness facilities can also be enjoyed. Many restaurants such as Shor American restaurant and A&B Lobster House are less than a mile away. These, along with the other convenient attractions, makes the Hyatt Key West a great place to stay while visiting the Florida Keys.